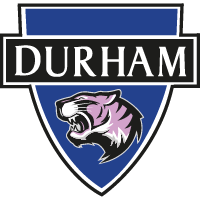 ROBERTS: "A bit of a shock"
Emily Roberts admitted that Durham's 6-1 win at Tottenham Hotspur caused shock among the squad - let alone the wider footballing community. 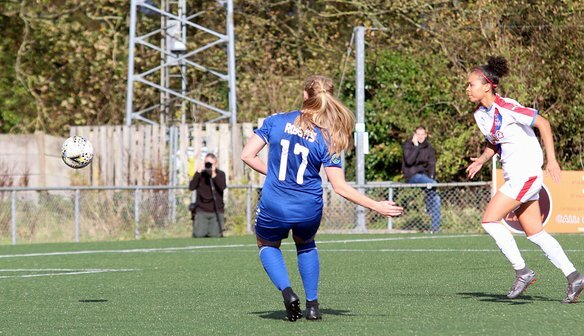 The Wildcats' stunning triumph certainly turned a few heads, and Roberts - who netted the first goal of the afternoon - said it even took her by shock. “The score was a bit of a shock. "We came expecting a tough game and it was but we got off to a good start. got some early goals and things went on from there." “My goal was definitely one of my sweetest strikes of the season! "I just saw the ball break and I thought I am going to swing my leg at this and luckily for me I hit the sweet spot and it went in." “To be fair I thought the Tottenham sending off was right. "She came out of the box and handled the ball, so I think it was a right decision. “Beth is really good at those free-kicks and it was nice to see that go in." “I saw Zoe peeling off and I knew all the defender would come to me so I thought I would try the back-heel. "Luckily it came off and Zoe produced a great finish with her left foot." “It was great for little young Chloe to get her goal at the end.